It's time to wrap up another year of blogging here at Καθολικός διάκονος. 2017 marked twelve years since I started this blog and 11 years of regular blogging. Posting a mere 116 times makes this year the sparest year since I began blogging in earnest way back in 2006. Nonetheless, I look forward to blogging in the new year. How much I will be able to do so remains to be seen. It is a tradition for me to select a post from each month of the past year that I think is worthy of mention at the end of the year. Below you will find a pick for "post of the month" for each month of 2017. I would be happy to have both my readers share their post or posts from the past year from this blog. January- "We desire not only to know fully but to be fully known"
February- "Scripture, revelation- apprehending and living the truth"
March- "'Those who find themselves ridiculous'"
April- "Degenerate language; degenerating faith"
May- "A Sunday to consider deacons"
June- "Tobit and the importance of burying the dead"
July- "The war I must wage: destroying a piece of my own heart"
August- "Liturgy and the totus Christus"
November- "A deacon on a layman about deacons"
Happy New Year to everyone who reads this. I pray God's blessing upon on you no matter who you are or how you arrived here. For today's Feast of the Holy Family, the Church provides us with a number of readings, each one worthy of being read, meditated upon, and contemplated. Because, apart from the Gospel of Luke and the Acts of the Apostles, which is the second volume of Luke' Gospel, often referred to (rightly, in my view) as "the Gospel of the Holy Spirit," my favorite book of the New Testament is the anonymously-composed Letter to the Hebrews, I am going to go with the option from the eleventh chapter of Hebrews (Wow! What a long sentence!). One reason for choosing this, apart from being so enamored with Hebrews, is this year, it seems, God has laid it on my heart to move past the sentimentalism that is so bound up with Christmas. While not entirely bad, such sentimentalism can impede discipleship, thus inhibiting the Church's mission. This discernment was borne out when I read Pope Francis's Christmas Urbi et orbi message. It seems to me that the dominant theme in this reading is Abraham's willingness to sacrifice everything for God. Of course, God the Father sacrificed everything for us, namely his Son. In Pope Francis's too easily forgotten first encyclical letter on the theological virtue of faith, Lumen Fidei, which was largely composed by Pope Benedict XVI, thus completing his cycle of encyclicals on the theological virtues: Love = Deus Caritas Est; Hope = Spe salvi, in a portion entitled "Abraham, our father in faith," we read: "Abraham is asked to entrust himself to this [God's] word. Faith understands that something so apparently ephemeral and fleeting as a word, when spoken by the God who is fidelity, becomes absolutely certain and unshakable, guaranteeing the continuity of our journey through history. Faith accepts this word as a solid rock upon which we can build, a straight highway on which we can travel" (sec. 10). Abraham left his home in Ur of the Chaldees because he trusted God's promise that there was a land prepared for him and his descendants to inhabit perpetually. When he left home, Abraham had no idea where this land was, which meant he had no clue as to how long his journey would be or where it would end. Trusting God, he packed up his family and belongings and headed out. God promised Abraham descendants who would be as numerous as the sands of the seashore. Yet, he had only one child with his wife Sarah: Isaac and, at Sarah's insistent urging, another one with Hagar, Sarah's servant: Ishmael. As St. Paul noted: "For it is written that Abraham had two sons, one by the bondwoman and one by the free woman" (Gal 4:22). It is by faith that we, too, are Abraham's children. This is how God fulfilled his promise: "there came forth from one man, himself as good as dead, descendants as numerous as the stars in the sky and as countless as the sands on the seashore" (Heb 11:12). 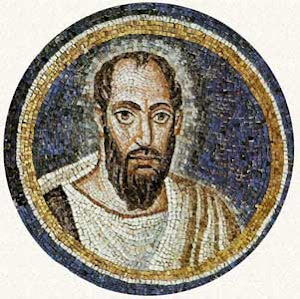 St. Paul, in his Letter to the Galatians, wrote: "But when the fullness of time had come, God sent his Son, born of a woman, born under the law, to ransom those under the law, so that we might receive adoption proof that you are children, God sent the spirit of his Son into our hearts, crying out, 'Abba, Father!' So you are no longer a slave but a child, and if a child then also an heir, through God" (Gal 4:4-7). We have trusted God's promise, sealed by the death and resurrection of his Son. This is precisely the promise that Anna and Simeon recognized when they encountered the child in the Temple. This trust, which is better-labeled hope and is the flower of faith, is wrought by the power of the Holy Spirit of the Father and the Son. It is by being born of the Spirit that we become God's children, members of God's Holy Family. Being born of the Spirit, something Jesus taught us must happen (see John 3:5-8), is how we become children of God, making us members of his family, the Church. Belonging to God's family means that, like Abraham, our father in faith, we too, are pilgrims, "Hebrews," which means foreigners, making our pilgrim way to God's holy city. Like Abraham, we are called upon to make sacrifices, perhaps to sacrifice everything that, to borrow more words from St. Paul: "forgetting what lies behind but straining forward to what lies ahead, I continue my pursuit toward the goal, the prize of God’s upward calling, in Christ Jesus" (Phil 3:13-14). Our pilgrimage, our journey through time, continues apace into the New Year. It is easy enough to know where God is leading you, at least ultimately. What is not so clear is the route you God will have you take. Hence, it is not so important to know where God is leading you in the new year. What remains important is that, like Abraham, you trust God to fulfill his promise. Given his deep Christian faith, I think this strikes pretty close to what Tolkien meant when he wrote, "Not all who wander are lost." Because we belong to God's Holy Family by virtue of being reborn of the Spirit, we journey together, as companions. We are companions because we share the Bread that sustains us on our pilgrim way. As Michael Card sang, "There Is A Joy In the Journey." This week's Friday traditio, the last of this seminal feature of Καθολικός διάκονος that has been infrequent this year, was made easy by an amazing article written Nick Ripatrazone for America magazine: "A Catholic Media Trinity: Marshall McLuhan, Walter Ong and Andy Warhol." While short, there is a lot to be ingested from this piece, which summarizes the approach of three prophets of our digital age, all whom "watched the electronic age arrive and did not blink." Evangelization is a word Catholics use these daze ad nausaum. 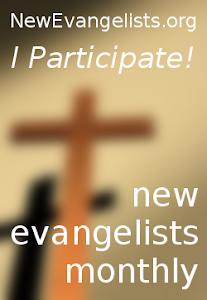 "Evangelization" is often used synonymously with "apologetics." But apologetics, which has its place in evangelization, albeit a very confined and small place, is very often the case of offering a discourse in the face of life's inescapable questions, those questions about purpose and meaning that make us human. By "offering a discourse" I mean answering questions nobody is asking in a boring, didactic manner. 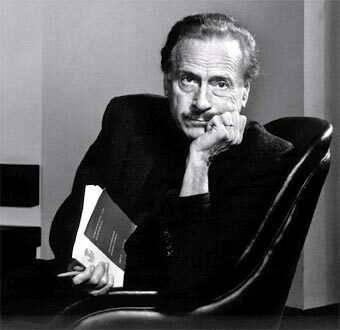 Marshall McLuhan, a devout Catholic convert, whose work is as fresh today, perhaps even fresher, than when he wrote it, grasped what it means to evangelize in the digital age (something I hope I do in these poor web pages that constitute my blog): "We must confront the secular in its most confident manifestations, and, with its own terms and postulates, to shock it into awareness of its confusion, its illiteracy, and the terrifying drift of its logic. There is no need to mention Christianity. It is enough that it be known that the operator is a Christian." It's no good trying to roll back the tidal wave of history. Nonetheless, some try. All such efforts are bound to fail. History, as the Church historian Angelo Roncalli, speaking as Pope John XXIII at the opening of the Second Vatican Ecumenical Council, is "the great teacher of life." The lowest ebbs of ecclesial history are when the Church misconceived the Gospel of Jesus Christ as a rearguard action. Such a misconception fails to recognize, let alone realize, that Christ is the Lord of history and that both presently and in the end, all history is salvation history. There is no human milieu in which God, through Christ and by the power of the Holy Spirit is not active and present. 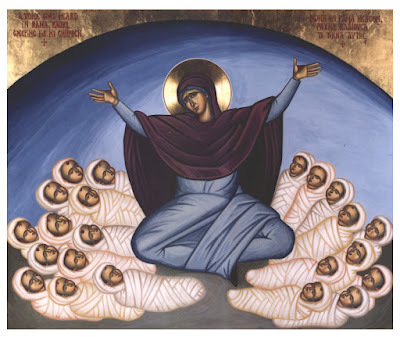 Today the Church observes the Feast of the Holy Innocents. Who are the Holy Innocents? They are the male children under two years of age "in Bethlehem and its vicinity" that Herod had killed in his effort to eliminate the child he believed, based on the testimony of the Magi, would be a rival for his throne. As the Feast of St. Stephen is a day for deacons and the Feast of St. John is a day for priests, traditionally, the Feast of the Holy Innocents is a day for altar servers. On today's feast, I can't help but call to mind Pope Francis's Christmas Urbi et orbi - a message the Pope delivers at Noon every Easter and Christmas. This year the Holy Father sought to bring to our attention the slaughter of innocents, that is, of children, that sadly occurs on a daily basis. So-called advanced countries, like ours, are not blameless in this regard. We live in a time that is thoroughly bellicose. An age in which diplomacy and concern for those who bear the brunt of war is too often set aside. Pope Francis said, "Christmas invites us to focus on the sign of the Child and to recognize him in the faces of little children, especially those for whom, like Jesus, 'there is no place in the inn'" (Lk 2:7). "We see Jesus in the children of the Middle East who continue to suffer because of growing tensions between Israelis and Palestinians." "We see Jesus in the faces of Syrian children still marked by the war that, in these years, has caused such bloodshed in that country." "We see Jesus in the children of Africa, especially those who are suffering in South Sudan, Somalia, Burundi, Democratic Republic of Congo, Central African Republic and Nigeria." "We see Jesus in the children worldwide wherever peace and security are threatened by the danger of tensions and new conflicts." "We see Jesus in the children of unemployed parents who struggle to offer their children a secure and peaceful future. And in those whose childhood has been robbed and who, from a very young age, have been forced to work or to be enrolled as soldiers by unscrupulous mercenaries." "We see Jesus in the many children forced to leave their countries to travel alone in inhuman conditions and who become an easy target for human traffickers. Through their eyes we see the drama of all those forced to emigrate and risk their lives to face exhausting journeys that end at times in tragedy." "I see Jesus again in the children I met during my recent visit to Myanmar and Bangladesh, and it is my hope that the international community will not cease to work to ensure that the dignity of the minority groups present in the region is adequately protected." 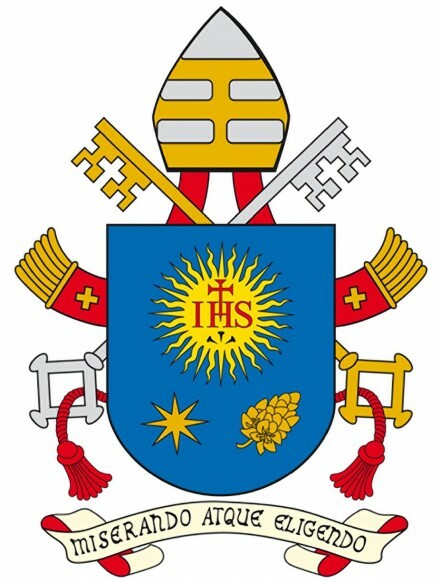 In his encyclical letter Populorum progresso, which, along with Humane vitae and Evangelii nuntiandi form the critical triptych of his papal magisterium, Bl. Pope Paul VI, in a section entitled "Final Appeal" pleaded: "We must travel this road together, united in minds and hearts. Hence We feel it necessary to remind everyone of the seriousness of this issue in all its dimensions, and to impress upon them the need for action. The moment for action has reached a critical juncture. Can countless innocent children be saved? 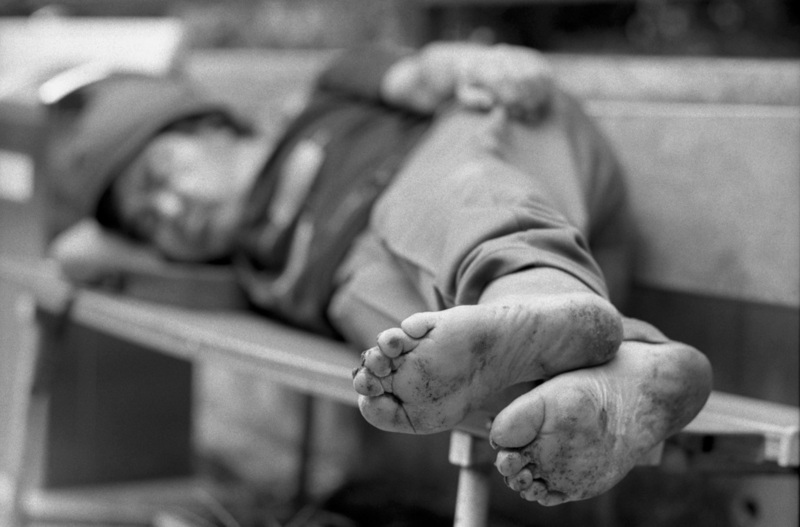 Can countless destitute families obtain more human living conditions? Can world peace and human civilization be preserved intact? Every individual and every nation must face up to this issue, for it is their problem" (sec. 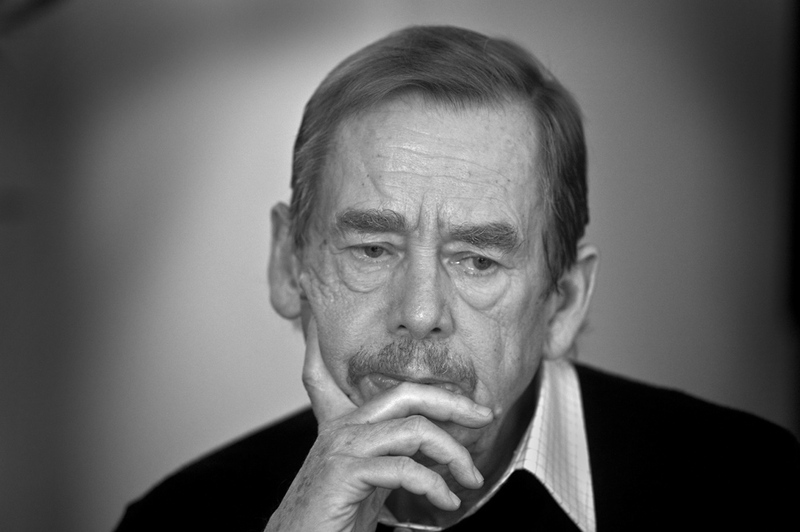 80). The three days immediately following the Nativity of the Lord are special days on the liturgical calendar. 26 December is the Feast of St. Stephen. 28 December is the Feast of the Holy Innocents. Following closely on the heels of these feasts, which interrupt the Octave of Christmas in the Liturgy of the Hours for the Office of Readings and Morning Prayer, is the Memorial of St. Thomas Becket. Today, 27 December, is the Feast of St. John the Evangelist. Just as the Feast of St. Stephen is a special day for deacons, the Feast of St. John the Evangelist is a special day for priests. By no means are these days holy days of obligation. In fact, in many parishes in which there is only one priest, it is not atypical for there to be no daily Masses as the priest might take a few days of vacation after the marathon of the Lord's Nativity, especially this year when Christmas Eve was also the Fourth Sunday of Advent. I love that on this third day of Christmas, just two days after we celebrated the Lord's birth, that our Gospel reading is part of the Gospel According to St. John's account of Christ's resurrection. Our reading begins with Mary Magdalene going to Peter to tell him someone has taken Jesus's body and she does not know where they've put him. Hearing this Peter and "the other disciple," who is taken to be St. John, run to the tomb. 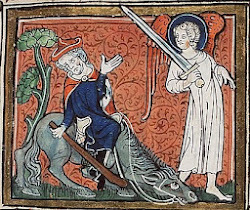 John outruns Peter, beating him to the tomb. When arrives, he looks in but does not enter the tomb. 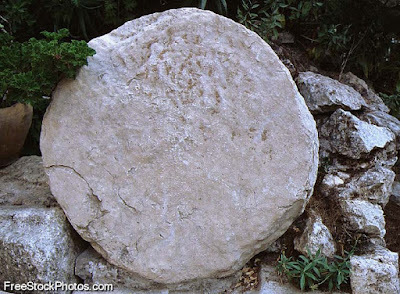 Upon his arrival, Peter enters the tomb and finds it empty except for the burial cloths, which were "rolled up." Apparently, Peter does not know what to make of this. Gathering himself up, the other disciple enters the tomb "saw and believed." Our first reading, 1 John 1:1-4, sets forth what is proclaimed as the result of this seeing and believing. Pray for your pastor and all the priests you know. what he has so marvelously brought to our ears. It wouldn't be Christmastime here on Καθολικός διάκονος without a post on 26 December, the Feast of St. Stephen, patron of this blog. Stephen, by way of reminder, was one of the seven Greek-speaking men, filled with the Holy Spirit, who was chosen by the primitive Christian community and set apart by the Apostles for service to the community (see Acts 6:1-7). The specific reason the primitive Church selected and set apart the seven was to heal a breach between the (presumably) Aramaic-speaking widows (i.e., "the Hebrews") and Greek-speaking widows. The Greek-speaking widows believed themselves to have been receiving the short-end of the stick in the daily distribution of food in the midst of a community that held all things in common. 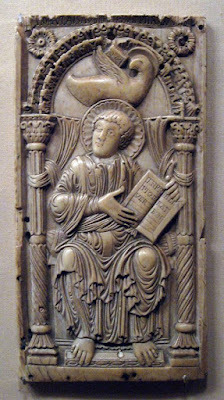 The seven were chosen so that the Apostles, rather than attend to this dispute, could devote their time to prayer and evangelization, both activities being described in the original Greek as diakonia. It bears noting that, while the service they were called to engage in is referred to as diakonia, nowhere in the passage are the seven referred to as diakonos (i.e., deacons). Dealing with multi-cultural and polyglot stresses, given the Gospel's universal scope, have been present in the Church from the beginning; plus ça change, plus c'est la même chose . But in short order, the Acts of the Apostles relate how two of the seven men whom the Church recognizes as the first deacons, though the name "deacon," in Greek diakonos, is never applied to them directly- though what they were initially set apart to do (serve the widows at table) is described as diakonein- also begin to preach and evangelize. The two whose subsequent exploits were written down and handed-on were Stephen and Philip. Before the end of the sixth chapter of Acts, Stephen is already stirring people up with his proclamation of salvation in Christ Jesus (see Acts 6:8-15) It is in the seventh chapter of Acts that Stephen's evangelizing is described. The entire seventh chapter, which consists of 60 verses, is taken up with Stephen's preaching, the response, ending with his martyrdom. When it comes to the Acts of the Apostles, I am of the Martin Hengel school, which holds that the book is rather more than less accurate account of the primitive Church (see Acts and the History of Earliest Christianity). Hence, I believe that we find in Stephen's preaching, which is set forth in Acts 7:1-53, consists of a fairly comprehensive laying out of the Gospel kerygma (kerygma refers to the primitive Church's preaching, its laying out of the essential Gospel message). Stephen was Greek-speaking Jew. His preaching is a surprisingly detailed account of what we now call salvation history, which culminated with Jesus's birth. "When they heard this," the inspired author related, "they were infuriated, and they ground their teeth at him" (Acts 7:54). Grinding their teeth at him seems to indicate they were moving toward him, intent on violence. As they ground their teeth, Stephen cried out that he saw "the heavens opened and the Son of Man standing at the right hand of God" (Acts 7:56). Because, to his Jewish hearers, what he was saying seemed blasphemous, "they cried out in a loud voice, covered their ears, and rushed upon him together" (Acts 7:57). They grabbed him, drug him outside the city, and at the instigation of one Saul of Tarsus, who makes his first appearance in the New Testament in Acts 7:58, they stoned Stephen to death. 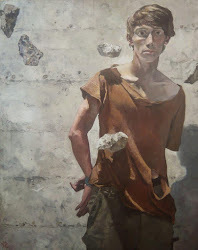 As they threw rocks at him, in imitatio Christi, the man chosen because he was filled with the Spirit, implored: "Lord, do not hold this sin against them" (Acts 7:60). Then he died. Stephen's story tells us many things: for example, that charitable social commitment must never be separated from the courageous proclamation of the faith. He was one of the seven made responsible above all for charity. But it was impossible to separate charity and faith. 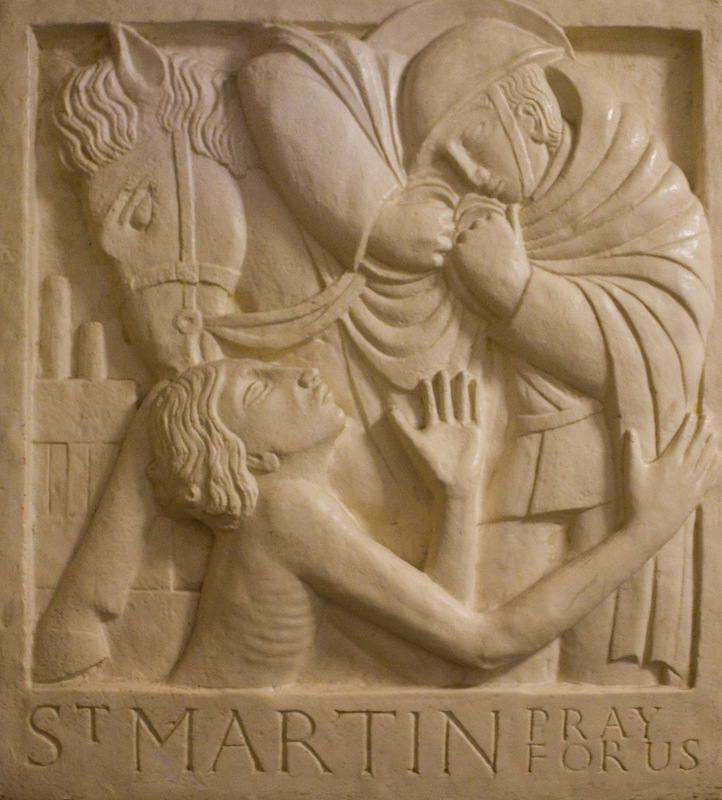 Thus, with charity, he proclaimed the crucified Christ, to the point of accepting even martyrdom. 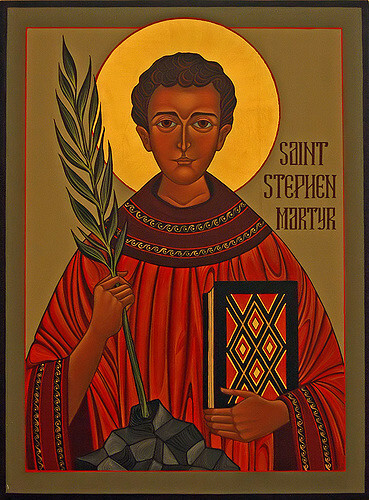 This is the first lesson we can learn from the figure of St Stephen: charity and the proclamation of faith always go hand in hand. Historically, 26 December, the day on which Good King Wenceslas looked out, is a day to celebrate deacons and their service, their diakonia. As a deacon, whose middle name from birth (my Dad's given name), is Stephen, and the patron of whose blog "Catholic Deacon" is St. Stephen, I say today and everyday- Sancte Stephane, ora pro nobis. We gather here in the darkness of a winter’s night not only to celebrate an event that occurred over 2,000 years ago but to express our hope in the return of that same Someone whose birth we celebrate. St Paul, in our second reading, taken from his Letter to Titus, sums up both our commemoration and our hopeful waiting well: “The grace of God has appeared, saving all” (Titus 2:11). God’s grace is not something abstract. Salvation happens in time and space. It is happening right now. Jesus Christ is our salvation. In addition to being born of the Virgin, being crucified, rising, ascending to the Father, and sending the Holy Spirit to be his presence in us and among us until he returns, Christ showed us what godliness looks like, sounds like, smells like, feels like, and tastes like. In the Mass, we experience all of this for ourselves in our gathering together, in our hearing God’s word proclaimed, and by receiving Holy Communion. To be Jesus’s disciple means “to reject godless ways and worldly desires and to live temperately, justly, and devoutly in this age” (Titus 2:12). Living in this way is what it means to live in hope. Living in hope is what it means to be a Christian as opposed to a practical atheist who is affected by a little religious sentimentality this time of year. Paul noted that living temperately, justly, and devoutly is how one hopefully awaits “the appearance of the glory of the great God… our savior Jesus Christ” (Titus 2:13). Beloved, it is Christ who delivers us from lawlessness by delivering us from the Law. It is Christ who cleanses us, transforming our hearts so that we are “eager to do what is good” (Titus 2:14). Often, we reduce Christmas to syrupy sentimentality. When we reduce the great mystery of God-made-man-for-us in this way, we deny its power to change our lives. It is no exaggeration to point out that history, with one approximately thirty-three-year interlude, consists of two long Advents. The first extended from the Fall of our first parents to the Nativity of Jesus Christ. The second extends from Christ’s Ascension into heaven until his return in glory. 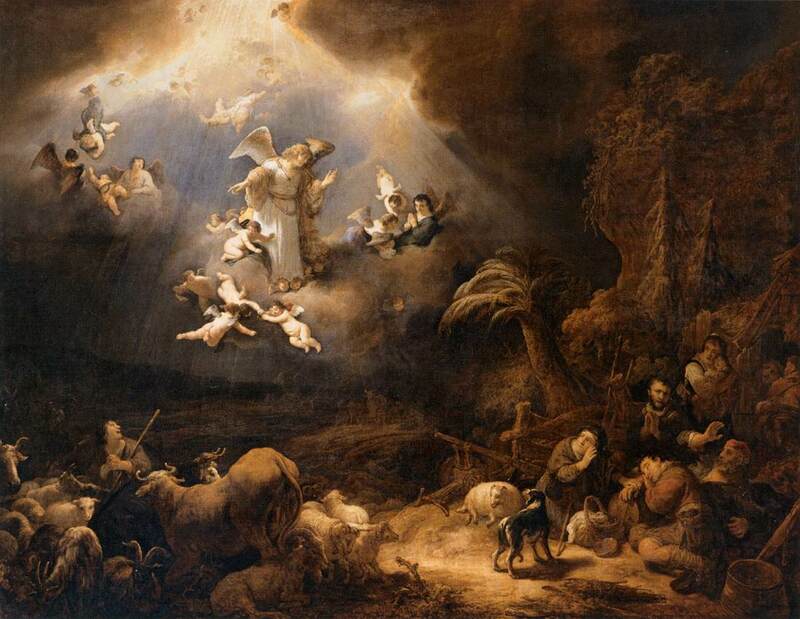 During this second Advent, we live in a state of tension between the already and the not-yet. Whether we’re here when Christ returns or he calls us to himself before then, our lives are to be shaped by the reality of his becoming incarnate of the Virgin Mary. His Incarnation “is so earth-shattering that it enacts something akin to the psychoanalytic concept of trauma” on the world (John Milbank, Slavoj Zizek, Creston Davis, Paul’s New Moment: Continental Philosophy and the Future of Christian Theology (Grand Rapids: Brazos Press), 7). The trauma enacted is cross-shaped. A cross-shaped life is one of temperance, justice, and devotion to God. To live temperately means that if you are fairly well-off or very well-off to live below your means. To live justly means to be concerned for those less well-off, who should be the recipients of the largesse that results from living below your means. To live devoutly means to worship God, rejoicing always and praying without ceasing (1 Thessalonians 5:16-17). Christmas is an invitation to follow Jesus more closely, to let his teachings become our life. This is what it means to belong to the “people who walked in darkness” and who “have seen a great light” to be among those who previously “dwelt in the land of gloom” but on whom now “a light has shone.” In his Sermon on the Mount, our Lord taught: “your light must shine before others, that they may see your good deeds and glorify your heavenly Father” (Matthew 5:16). Whatever light of ours shines before others is but a reflection of that Light who shines upon us. This entire message about God’s coming, about the Day of Salvation, about redemption drawing near, will be merely divine game-playing or sentimental lyricism unless it is grounded upon two clear findings of fact. God comes tonight to meet us in this Eucharist, which is the intersection in time and space between the already and not yet. The altar is the manger on which he appears under the signs of bread and wine. Just as God’s glory could only be seen through the eyes of faith in the infant wrapped in rags and lying in a feeding trough, his coming to us as bread and the wine can be difficult to see, but nonetheless, we can touch and taste him. You see my dear friends, Christ comes not only to dwell with us. He comes to dwell in us and make himself present through us, especially by our caring for those in need. “God loves man so much,” observed Romano Guardini, “that He wants to renew the mystery of the Incarnation in every one of us. To become a true believer means to receive the risen Christ within us” (Romano Guardini, The Rosary of Our Lady, Manchester: Sophia Institute Press, 53). Or, as contemporary Christian songwriter Michael Card sang, “The mystery of life in Christ is that Christ can live in you” (Michael Card, “Live This Mystery”). O, this is the great joy of which the angel speaks. This is the comfort and exceeding goodness of God that, if anyone believes, he can boast of the treasure that Mary is his rightful mother, Christ his brother, and God his father. For these things actually occurred and are true, but we must believe. This is the principal thing and the principal treasure in every Gospel. Christ must above all things become our own and we become his. This is what is meant by Isaiah 9:6: “Unto us a child is born, unto us a son is given.” To you is born and given this child. 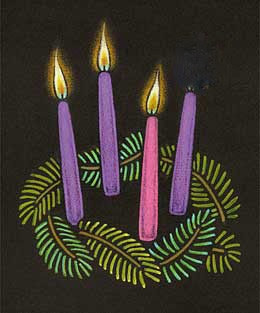 Today we celebrate the Third Sunday of Advent or Gaudete Sunday. Gaudete is a Latin word that means Rejoice! We call this Sunday Gaudete Sunday because the entrance antiphon for Mass today is taken from the fourth chapter of St. Paul’s Letter to the Philippians. The antiphon exhorts us to “Rejoice in the Lord always; again I say, rejoice.” After this exhortation, the antiphon ends with these words: “Indeed, the Lord is near” (see Phil 4:4-5). Advent means either “coming” or “arrival.” We know the Lord has come, has died, risen, and ascended, promising to return. He sent his Holy Spirit as the mode of his presence in us and among until he comes. Our lives as Christians, therefore, can best be described as living the tension between the already of the Lord’s Incarnation and the not yet of his glorious return. The season of Advent reflects this tension. From the beginning of the season until today, we look forward to Christ’s return at the end of time. Beginning with the Third Sunday, Advent pivots as we begin look back towards Christ’s first arrival. He arrived in the world as a marginal person among a marginal a people who had long been subjected to foreign occupation. He arrived as an infant, born in a cave where animals lived, wrapped in rags and laid in a feeding trough. Jesus was not born in a nice, clean, well-lit place. He was born in a smelly, dirty, dark and dank place. I sometimes think that instead of drawing us deeper into the mystery of the Incarnation, our Nativity scenes obscure its reality by reducing faith to mere sentiment. In case you didn’t notice, we have two Gospel readings today. Our Responsorial Psalm is taken from Mary’s Magnificat, which is found in Luke’s Gospel (see Luke 1:46-55). Mary says of the Lord’s coming: “He will fill the hungry with good things and the rich he will send away empty.” In this regard, it bears noting that the spiritual fruit of the Third Mystery of the Holy Rosary- Jesus’s Nativity- is poverty. In our culture, there are few things more vexing than having to wait. Advent is about the discipline of waiting. The good news is the efficacy of our waiting doesn’t depend on how faithful we are. Rather, it depends on the fidelity of the One on whom we wait. I think a good question to ask ourselves today is, what, or who, are you waiting for? If you are waiting for Christ, which the Scriptures say you should, then how are you to wait? The first part of our first reading, which is from Isaiah, is a passage that Jesus cited in St. Luke’s Gospel in the synagogue at Nazareth, which marked the beginning of his public ministry in that Gospel. After reading this passage, as he rolled up the scroll, Jesus said to the people of his hometown: “Today this scripture passage is fulfilled in your hearing” (Luke 4:16ff). The congregation responded by trying to kill him because he claimed to be the Messiah, the Anointed One, which, of course, he is, albeit one who did not meet human expectations. The response of the Nazoreans present in the synagogue that day is not only that of people with no hope, but the response of people who are so deaf and blind that they are unable to see or hear hope when he is standing in front them and talking to them about hope. Let’s be honest, our hopes are so often placed in things that can never satisfy our infinite longing, be it professional or academic achievement, making money, acquiring possessions, having a big house, a nice car, going on trips and adventures, or even in human relationships. I think for children Christmas day is often an anti-climax. Like the Nazoreans who heard Jesus proclaim himself as their hope, we, too, try to throw him off a cliff when we place our hope on other things or other people. 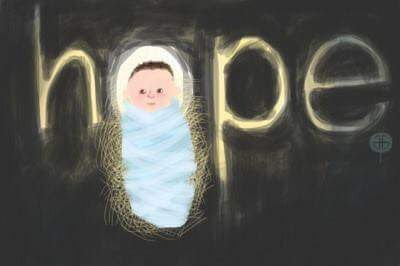 Hope is the one-word summary of the phrase “Advent waiting.” Along with faith and love, hope is a theological virtue. Unlike natural virtues, which are acquired through habit, that is, by practicing them, the theological virtues are gifts from God. Of these, hope is probably the least understood. We often think of hope as synonymous with wishing. But hope is more about trust than it is about wishing. God is trustworthy. We can flippantly say, “God is faithful,” because we know this is the right answer, at least when we’re in church. But you can only come to know God’s faithfulness through your own experience of waiting. God will do what he promised, just as he sent Israel not only his promised Messiah but a Lord and Redeemer who extended the covenant God made with Israel to the whole of humanity. But, as the Lord’s Nativity demonstrates, God most often fulfills his promises in very unexpected ways that are not dictated by our expectations. “Indeed, the Lord is near.” Even now, by the power of his Spirit, Christ is near to us. We need only attend to his presence. We attend to his presence by doing nothing other than doing nothing. Deep prayer must always begin with recollection, with silence, with awe in the presence of the Lord. We don’t have to summon Christ up like a genie from a lamp, we need merely sit, breathe and just let ourselves be in the presence of the One who created us and redeemed us, the One who loves us enough not only to die for us, not only enough to rise and return for us but enough to accompany us on our way. It is Advent. I am committed to resuming blogging on a regular basis. I hope to post something 2-4 per week, including a Friday traditio and a reflection on the Sunday readings. In an effort to follow through on this commitment, I am posting something I provided when requested to give a short-take on the Catholic Church and the Shroud of Turin. I didn't have a lot of time to go digging and so I went with what I knew off the top of my head and researched the statements of modern popes on the shroud, which demonstrated a more nuanced view of the shroud, beginning with Pope Benedict. The origin of the Shroud of Turin is unknown. The cloth’s whereabouts prior to 1357 are unknown. But from 1357 onwards, the location of the shroud is well-attested. The Shroud has been in Turin since 1578. 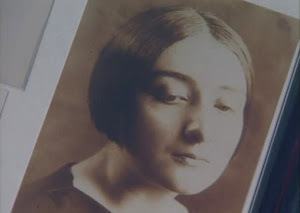 Initially, it belonged to the Royal Savoy family. It was only in 1983 that the family gave the shroud to the Catholic Church. Far from avoiding or evading attempts to scientifically examine this unique artifact, since being gifted the Shroud of Turin by the Savoy family, the Catholic Church has sought to gain as much scientifically-derived information about the shroud as possible. In these undertakings, great effort has been made to maintain the shroud’s integrity. 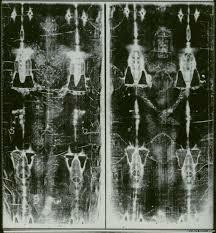 In 1898 the first negative image was taken of the Shroud of Turin. This is the image from which most people would recognize it because the image it bears of the beaten and crucified man is more pronounced than just looking at the shroud itself. The shroud has been subjected to 2 carbon dating tests. The first test, conducted in 1988, indicated the shroud dated from approximately 1,000 years after the time of Jesus. The range given for the shroud’s age based on this initial test was sometime between 1260-1390. It bears noting that the shroud’s appearance in historical documents beginning 1357 falls with the range of time during which those who conducted the first test concluded it originated. A second test, performed in 2008, suggested the initial test might be 1,000 years off. It is safe to say these efforts to date the shroud are inclusive. As a result, opinions as to whether it is the burial garment of Jesus or an ingeniously made relic from the Middle Ages remain divided. 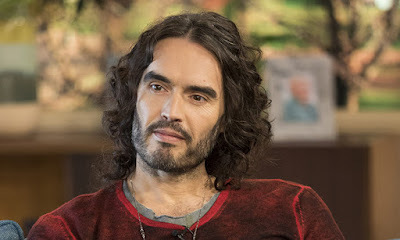 It is not a matter of faith for Catholics to believe the Shroud of Turin is the burial garment of Jesus. It is not something the Church holds de fide. The Holy See has never officially proclaimed (or denied) the authenticity of the Shroud of Turin. Popes since Julius II in 1506 have encouraged devotion to Christ and belief in his resurrection the shroud facilitates among the faithful. Some popes, including John Paul II, have referred to the shroud as a relic. Commenting on the shroud in 1980, John Paul II called it “a distinguished relic linked to the mystery of our redemption.” Pope Pius XII referred to it as “the holy thing perhaps like nothing else.” For an object to be a genuine relic, however, its origin must be sure. Believing that Christ will return is fundamental to Christian faith. In the Nicene Creed, we profess: “He will come again in glory to judge the living and the dead and his kingdom will have no end.” In the Apostles Creed, we say: “He ascended into heaven, and sits at the right hand of God, the Father Almighty; from there He shall come to judge the living and the dead.” Belief in Jesus’s return as the judge is not optional because it was revealed to us by the Lord himself, as our Gospel today clearly shows. Jesus Christ is King of the universe because he has vanquished all of God’s foes, including death. As St. Paul wrote to the Christians in Corinth: Jesus will hand over the kingdom “to his God and Father, when he has destroyed every sovereignty and every authority and power” (1 Cor 15:24). No earthly kingdom or nation will endure beyond Christ’s return. This feast invites us to live sub specie aeternatatis – under the auspices of eternity, which simply means giving what matters priority in our lives. Pope Pius XI instituted the Solemnity of Christ the King in 1925. 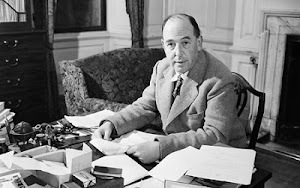 He did so in response to growing secularism as the ancien régime overturned at the end of the First World War was replaced by a new political order. One result of secularism is the temptation to seek exclusively worldly ends using only worldly means, as the rise of fascism in Europe after the establishment of today’s observance amply demonstrated. Observing the feast of Christ, the King does not call for us to disengage from society and culture, or to retreat from the world. On the contrary! What makes Christians the best citizens of any nation, as St. Justin Martyr noted in his First Apology way back in the second century, is our commitment to living God’s kingdom as a present reality, as if it were already fully established. Too often we live in the mistaken notion that the definitive establishment of God’s reign has little or nothing to do with us. The 2 ways Bl. Solanus Casey gave for always living in the awareness that you are in God’s presence are the importance of praying short prayers to God throughout the day, or, as he put it: “Raise your heart to Him by frequent aspirations” and to “Make a good intention at the beginning of each week.” Sunday Mass is a wonderful time to make a good intention for the coming week. My sisters and brothers, holiness does not happen incidentally. You can’t accidentally be a disciple of Jesus Christ. While holiness is only ever fully realized by the grace of God, attaining it requires your cooperation. Your pursuit of holiness cannot be a passive endeavor. God won’t make you holy against your will. As his life of care and concern for others demonstrates, the practices set forth by Solanus Casey constitute a proven way of cooperating with what God is seeking to do in and through you to accomplish his purposes in and for the world. Of course, engaging in these practices, like our participation in this Mass, is not an end in itself but a means to the end of establishing God’s reign. We establish God’s reign by caring for those in need, by feeding the hungry, giving drink to the thirsty, clothing the naked, as well as visiting and assisting those who are sick and in prison. Grouped together, we call these the Corporal Works of Mercy. Our need to engage in these works has been a persistent theme of Francis’s pontificate. It's how we bring about the end of the world as we know it and feel fine in the process. I urge each of you between this Sunday and next, which is the First Sunday of Advent, the beginning of a new year of grace, to spend some time reflecting on how you can enthrone Christ as King in your heart. 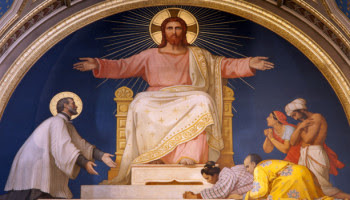 Being a subject of Christ the King is not a matter of being subjugated, as it is with those who exercise worldly power, but a matter of knowing you are loved and “in the hands of the one who writes straight with crooked lines” (Pope Benedict XVI). 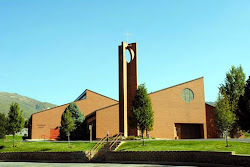 In my presentation, What the Catholic Church Learned from the Reformation, I highlighted 5 lessons: "Baptism and the Priesthood of All Believers," "Scripture for Liturgy and Life," "Liturgy: Full, Active, Conscious Participation," "Religious Freedom," and "Indulgences: Pope Paul VI addresses Martin Luther." Today I am posting my brief section on religious freedom. We’re so used to understanding religious freedom as a human right that the revolutionary nature of the Second Vatican Council’s Declaration on Religious Freedom, Dignatatis humanae is often lost. But the Catholic Church’s recognition of the importance of freedom and the primacy of conscience when it comes to religious belief and practice, is very much a lesson learned as a result of the Reformation. It was a lesson perhaps best articulated by that reformer of the Reformation, John Wesley, about whom Dennis Shaw spoke last week. It is a lesson learned by both Catholics and Protestants as a result of the religious pluralism wrought by the Reformation in Europe. 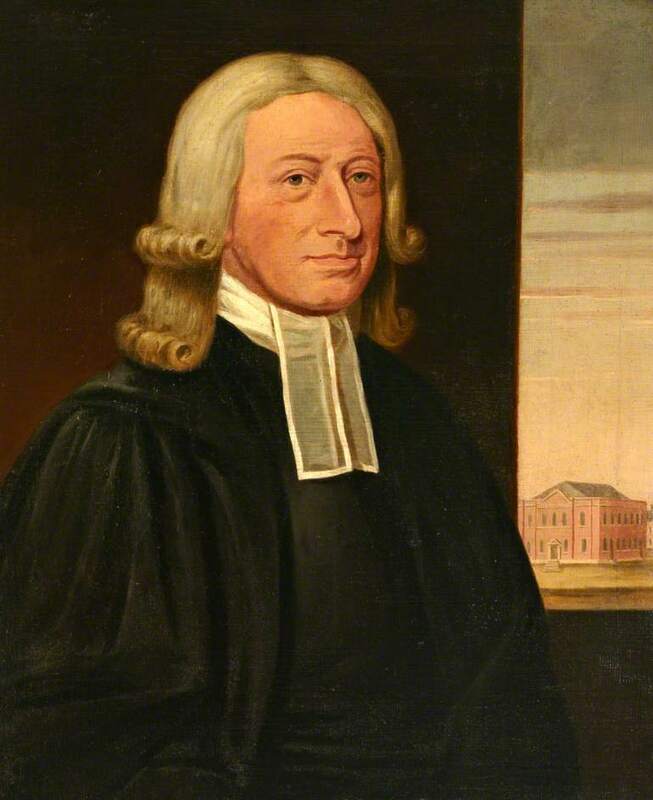 Wesley’s best articulation of the principles underlying religious freedom were two notable sermons: “A Caution Against Bigotry” and “Catholic Spirit.” Fourteen years prior to his birth in 1703, the Toleration Act, which permitted Protestant communions other than the Church of England to freely gather and worship.1 What Wesley sought to demonstrate is that religious tolerance and the freedom to which it gives rise is part and parcel of being a Christian. In his “Catholic Spirit” sermon, Wesley noted that religious toleration and freedom are often confused with religious indifferentism. He asserted that nothing could be further from the truth. In fact, he noted that religious toleration and freedom indeed gives rise to many different religious viewpoints and acknowledges that this can be very confusing. Such confusion, he asserted, is a curse, not a blessing. 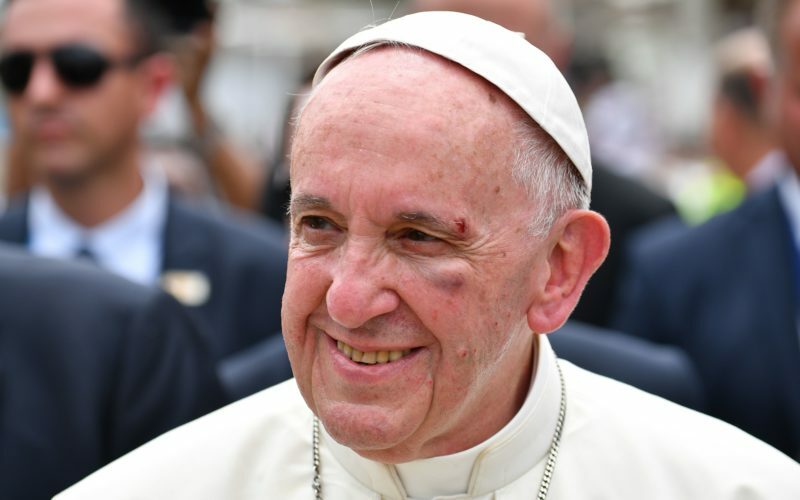 Therefore, a person who has the catholic spirit “does not halt between two opinions, nor vainly endeavor to blend the two into one.”2 In other words, such an environment requires what Pope Francis has dubbed a culture of encounter. Pope St. John Paul II went so far as to assert that next to the right to life, the most fundamental right a human being possesses is that of religious freedom. Our readings for this Sunday culminate with the last two statements made by the Lord in today's Gospel: "The greatest among you must be your servant. Whoever exalts himself will be humbled; but whoever humbles himself will be exalted" (Matt 23:11-12). These words could easily serve as a compelling homily on these readings. As a deacon, I like to think I am attuned to passages like this that exalt the importance of serving others. In the original Greek, the final word of the eleventh verse of the twenty-third chapter of St. Matthew's Gospel, a word translated as "servant," is diakonos. It would not be any exaggeration at all, but a very literal translation of that verse to be translated in this way: "The greatest among you must be your deacon." Christ is the model Deacon. If a deacon, by the grace received through the Sacrament of Orders, acts in the person of Christ, it is not in persona Christi captis, a way in which only bishops and priests act, but in persona Christi Servi- in the person of Christ the Servant. Jesus was the greatest among those whom he addressed in today's reading. Hence, He is their Servant, their Deacon. Diakonia, the name for the service rendered by deacons, is something every Christian is called to do. If we share in the one priesthood of Jesus Christ by virtue of Baptism, then we also share in the one diaconate of Jesus Christ. We are God's priestly people because we are God's deaconly people. As James Keating noted in his book The Heart of the Diaconate: "There can be no sacrifice (priesthood) without service (diaconate)." While this is rather abbreviated, I think it goes back to the insistence of Old Testament prophets that sacrifice is unacceptable to God without selfless service to others, particularly and specifically helping those in need. As regards the Eucharist as sacrifice, Christ gives himself to us so that we can give ourselves to him by selflessly serving others. At the end of the day, the only convincing proof that the bread and wine are the Body and Blood of Christ are the lives of those eat and drink it. Moreover, service before sacrifice was modeled perfectly by our Lord himself. Our second reading is from St. Paul's First Letter to the Thessalonians. Dating from around AD 50, it is most likely the earliest New Testament book. In this passage, the Apostle provides a concrete example of what the Lord taught. What Paul highlighted to the Christians in ancient Thessaloniki is that while he was among them, in addition to preaching, teaching, and exercising pastoral care, he worked and earned his living by his own hands so as not take from them. not to be a burden to them. The earliest Christian communities consisted largely of the urban poor. Elsewhere Paul asserts his right to be supported by the Christian community (1 Cor 9:4-15). He usually, or maybe even always, forfeited this right and worked as a "tent maker," the nearest contemporary equivalent to which would be a canvas and awning business. In this way, as well as others, Paul engaged in diakonia. Hence, the Apostle imitated his Master by being their deacon, their servant. A diakonos is distinct from a doulos. As mentioned, a diakonos is a deacon, which denotes a type of servant, whereas a doulos is a slave. Paul calls himself a slave only in reference to Christ. In his Second Letter to the Corinthians he wrote that he was their slave, but only for Jesus's sake (2 Cor 4:5). Paul thought of himself as the slave of Christ, a slavery he chose in freedom and to which he continued to adhere out of the same freedom. It was as Christ's slave that he became the servant to those Christians in the communities he founded. Diakonia is the selfless service rendered to others, particularly those in need, in the name of Christ. Providing such service is how we make Jesus present, how we proclaim his Gospel, how we glorify him by our lives. I just read a piece by a deacon who claims that nobody--nobody at all--is confused by Pope Francis. Isn't it a sufficient refutation to note that many people claim to be confused by things the pope has said or written? Even intelligent people? Even high clerics? Or are all these people nobodies? There are notable exceptions, but, on the whole, over the years I have been disappointed with homilies given by, and essays or posts written by, deacons. I've been disappointed with plenty of things said or written by bishops, priests, and laymen, but the proportion has been notably worse with deacons. I'm not sure why that should be, but that's how it's been. This isn't a new observation for me. It's been nagging me for well over twenty years, and it applies even to many deacons who are well degreed. I suppose I first noticed it when, after a parish seminar I gave, a deacon came up to me and proudly noted that he never read religious books published before 1965, the year that Vatican II ended. (I wasn't quick-witted enough at the moment to ask him whether he ever read the Bible.) After that, I began to pay more attention to what deacons said and wrote. It seems that in many cases men have been ordained beyond their ability to speak or write cogently--or even adequately. I appreciate what deacons do in parishes, but I remain largely disappointed in deacons who go public. I wish it were otherwise, but that's how it is for me. 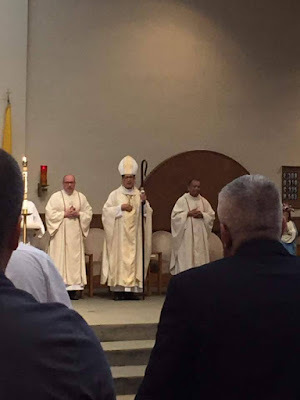 If I am not mistaken, Keating's post is a response to something Deacon Bill Ditewig, Ph.D. (he holds a doctorate in theology from the Catholic University of America) posted on his blog, Deacons Today. However, I cannot be sure exactly to whom Keating is responding because his post is in that passive-aggressive mode so commonly employed on social media. Ditewig's post, in turn, is a response to an open letter theologian Fr. Thomas Weinandy, OFM, Cap, wrote to Pope Francis. In his letter, Weinandy has five complaints. His basic point to the Holy Father is that he (the Pope) is confusing people. You can read it for yourself here. You can also read a very good response to Fr. Weinandy's open letter by the theologian who preceded him as executive director of the USCCB's Secretariat for Christian Doctrine, Msgr. John Strynkowski, here. Weinandy served as executive director of the secretariate from 2005-2013. It bears noting, I think, that Deacon Ditewig served as executive director of the USCCB's Secretariat for the Diaconate from 2002-2007. Fr. 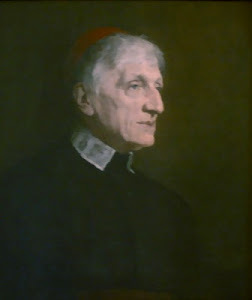 Weinandy's tenure as executive director was quite tumultuous and marked by public disputes with some of the U.S.'s more prominent theologians, like Sr. Elizabeth Johnson. Since the conclusion of his directorship, Fr. Weinandy has served as a consultant to the U.S. bishops doctrine committee. In the wake of his letter he resigned. As noted, Keating's post is thoroughly passive-aggressive. In his view, with "notable exceptions" (no doubt few) deacons are, theologically-speaking, below par. Despite Karl Keating's views, it is important to point out that, as clerics, deacons are ordained to represent the Church publicly. This does not mean our public words are in any way magisterial. In this way, deacons are like priests. We don't even speak on behalf of our bishop unless expressly deputed to do so. There is a tab at the top of this entitled "Integrity Notes." It is my disclaimer. Along with "some notable exceptions," Keating acknowledges that some deacons "do not contribute to [his negative] impression" of not being capable of speaking or writing cogently or correctly. Some of these, he surmises, might take umbrage at his assertions regarding deacons and become defensive. He assures his readers that he is not out to offend the notable exceptions or those who do not contribute to his negative impression. He is merely trying to criticize most permanent deacons, at least most of those he has heard speak and preach and/or whose writing he's read over the past 20 years. What I find lacking cogency is Keating's purely anecdotal argument that many, perhaps most, permanent deacons are in over their heads when the issue he sought to dispute was his assertion that Ditewig argued nobody at all is confused by anything that Pope Francis has spoken or written. If that is the case, if people, even notable people, like bishops, are confused by some of the Pontiff's public utterances and written proclamations, then wouldn't a few notable examples serve to make his case? Ditewig's point, it seems to me, was not really that nobody claims to be confused by Pope Francis. There are certainly those who claim confusion. What Ditewig points to is the elephant in the room: those who claim the Pope is spreading confusion are those who simply disagree with him, those who dissent from his properly exercised papal magisterium. It has become a common tactic of the Holy Father's detractors to claim he is confusing people. Ditewig challenges their assertion by claiming people, on the whole, really aren't confused. In my view, it is the cacophony of Francis detractors, each of whom presumes, even if implicitly, to speak with authority superior to the Pope and bishops, who confuse the faithful. This makes me all the more thankful that the genuine sheep are able to hear and recognize the voice of their shepherds. Should Catholics be well catechized and able to intelligently discuss our faith when appropriate? Yes. Who would argue otherwise? This brings us to a question that is a different topic entirely: What is catechesis? I will state that catechesis which leads to the kind of witness Christians are called to give is mystagogical. "You do it this way"
Hey, a Friday traditio! Actually, last month I only missed Friday, last Friday. I did miss posting something specific for All Saints and All Souls. I'd rather actively observe those sacred days than write about them. It is difficult for me to believe that it is November, the month of my birth. Like last year, for my birthday this year I am going to a Morrissey concert. Instead of seeing him live at the Hollywood Bowl on my birthday (that would be a dream come true), I am seeing him a week later here in Salt Lake City. I have excellent seats in Kingsbury Hall on the campus of my alma mater, the University of Utah. The pace of life right now prevents me from devoting any serious time to listening to music. As a result, it's catch as catch can. 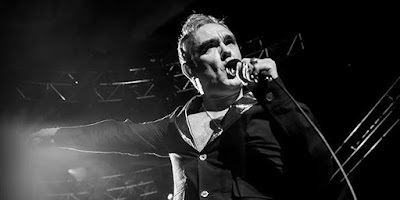 Recently I heard a song from the post-punk band Killing Joke: "Eighties." It is off their 1985 album Nighttime, an excellent record. "Eighties" was the last song on side two of the LP. The unique thing about this song is that Nirvana borrowed from it for their song "Come As You Are," which was their magnificent 1991 album Nevermind. I did not this discover this myself. It something I learned this week. Nothing too serious, just a song, as it should be sometimes, probably most of the time. 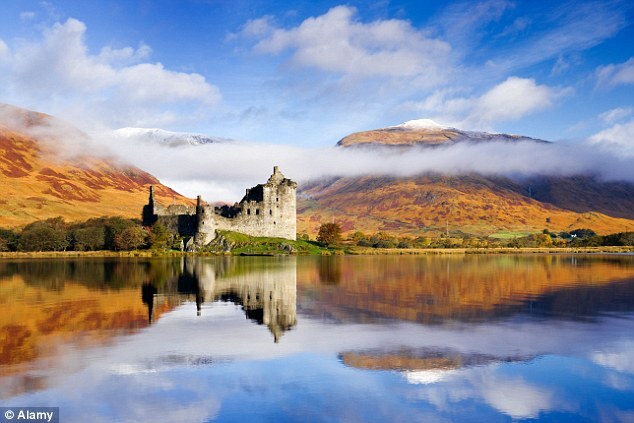 Halloween was brought into being by the ancient Celts who lived in Ireland, Scotland, Wales and Brittany. The celebration precedes their conversion to Christianity. For the ancient ones, 1 November marked the beginning of a new year and the coming of winter. 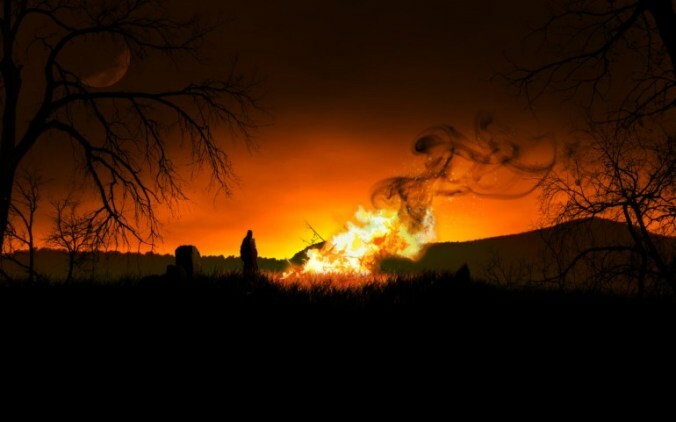 Showing the requisite Celtic spirit, the night before the new year, the Celts celebrated the festival of Samhain, who, in their mythology, was lord of the dead. They believed that during this festival the souls of the dead—including ghosts, goblins, and witches—returned to mingle with the living. To scare away the ghosts, goblins, and witches, they would don masks and light bonfires and, in true Celtic form, drink fermented grain and distilled grain bevies (i.e., beer and whiskey). When the Romans conquered the Celts, they added their own touches to Samhain. These customs included making centerpieces out of apples and nuts for Pomona, the Roman goddess of the orchards, bobbing for apples and drinking (hard) cider. So, where, you might ask, does the Christian aspect of the holiday begin? In AD 835, likely as the result of the widespread nature of what began as a Celtic custom, Pope Gregory IV moved the celebration for all martyrs (later all saints) from 13 May to 1 November. For most Eastern Christians, All Saints is still observed in the late Spring or early Summer (the Sunday following Pentecost). Eventually, the night before All Saints became known as All Hallows Eve. In time the name was shortened to Halloween. The custom of setting apart a day to intercede for our faithful departed dates to the eleventh century. It was begun at the Benedictine monastery of Cluny, France. In particular, it was the fifth abbot of the abbey, St. Odilo of Cluny, who started All Souls Day. Given the influence of Cluny, this custom spread to other Benedictine communities associated with Cluny. Before long commemorating the faithful departed on 2 November was practiced in several dioceses in France before spreading throughout the Western Church. It was quite late coming to Rome, where it was accepted in the fourteenth century. All Souls Day brings to an end our annual three-day festival of the communio sanctorum, which was centuries in the making. This festival is just the beginning of the month during which we remember our beloved dead. Our month of remembrance ends with the observance of the feast of Christ the King. On this feast, the Church celebrates the end of time, when Christ will return to judge the living and the dead. That's it for October. I am glad I started blogging again in earnest. * This post first appeared yesterday on The Boy Monk blog. It’s evident that we are often capable of discerning what is are good and what is evil, but good and evil are not clear to us in every instance, far from it. Our first reading from Exodus gives us three examples of things that are good, which means they are not only are things we ought to do but, as Christians, things we must do. The first of these is how we are to treat aliens among us, be they immigrants or refugees. Many Catholics, despite the clear teaching of Scripture and the consistent teaching of the Church’s magisterium, be it the Pope, the United States Conference of Catholic Bishops, or our own bishop, see this as a matter of prudential judgment, by which they take it to be optional. I have heard people who should know better insisting that welcoming immigrants and refugees is not biblical. Jesus recapitulated in his own life the history of Israel so that he could do for Israel what the chosen people were not willing or able to for themselves. 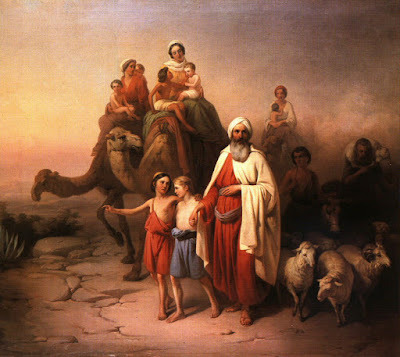 Hence, along with Joseph and the Blessed Virgin, he was a refugee in Egypt, fleeing Herod’s terror. As the Church, we are God’s Pilgrim People, making our pilgrimage through time to the new Jerusalem. In this context, it is important to note that the word “Hebrew” means foreigner. If Israel is made up of Hebrews and the Church is the new and true Israel, then we, like Israel of old, are aliens, a people on the way. It would difficult to find something more biblical than welcoming immigrants and refugees. In addition to political refugees, our country now has many economic refugees. Economic refugees are people who come to our country, like most of our ancestors did, seeking a better life for themselves and their children. 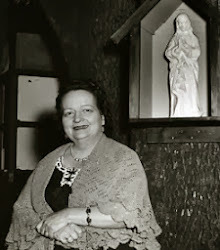 Whether it refers to the Italians, the Irish, or to people from Mexico and the rest of Latin America, in the United States there has always been a discernible strain of anti-Catholicism in the rhetoric and action of so-called nativists. Secondly, our first reading points out the importance of caring for widows and orphans. This is the biblical language for caring for those in need. Doing this is imperative for Christians. It is false to say there was no social safety net in ancient Israel. The social safety net was to be society itself. Israelite society was supposed to be the kingdom of God, but it was often deformed into something else entirely. This is why time and again Israel was rebuked by God through the prophets for not doing this. If Scripture is a reliable guide, perhaps more than anything, the refusal to care for those in need kindles God’s wrath. In God’s eyes, the greatness of a nation is not its wealth or military might. From the divine perspective, a nation’s greatness lies in how it cares for the young, the elderly, the ill, the disadvantaged, and the immigrant. Our reading from Exodus tells us what it is that gets in the way of caring for those in need: greed. Greed is one of the seven deadly sins. Greed is when you put your excess before the needs of others. Original sin was humanity’s desire to displace God in order to determine for ourselves what is good and evil. Even when we concede that in determining for ourselves what is good and evil we will not necessarily always choose evil, odds are sooner rather than later we will get it wrong. Nonetheless, God permits us the freedom to attempt to dethrone him and enthrone ourselves. God does not launch lightning bolts from the sky when we choose evil, either knowingly or in the mistaken belief that it is good. Why? Because God loves us and so he would not cause us to live under such an imminent threat, which would practically force us to be good out of fear, not love. Christ showed us that the only criterion by which to make moral judgments is love. 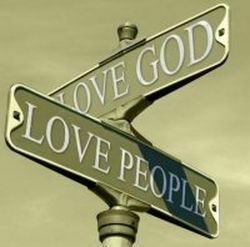 God is love (1 John 4:8.16). It is because God is love that Christ became incarnate. Holiness consists in nothing other than loving perfectly, like Christ. The second question that arises from Jesus’s definition of morality is- Who is my neighbor? In St. Luke’s parallel account of today’s Gospel, when Jesus was asked the same question immediately after defining morality as love, his response was to teach the Parable of the Good Samaritan (see Luke 10:25-37). The take-away from that parable is- my neighbor is not my fellow Israelite (or Catholic), not the person most like me; my neighbor is the person in need, the one I can help. We are beggars. Acknowledging our poverty is what brings us to this table. Coming together makes us companions. “Companion” literally means “bread fellow.” Companions are those who share bread. After sharing the bread from this table, we are sent forth to share it with those who are hungry. I read a post this morning in which the author, who I gather is something of a post-Christian Christian, writes about taking an apophatic approach to God as if nobody in the past 2,000+ years has ever conceived of such an approach. What does "apophatic" mean? Simply stated, an apophatic spirituality, as it were, is one that seeks God by way of negation. Some of our standard ways of talking about God are apophatic. For instance, when we say, "God is infinite," we're saying something negative about God. The prefix in is a negative one, meaning something like "without finitude." To say that "God is infinite" is to say that God is not bound by space. We say this now with knowing the universe, or space is expanding. What I appreciate about post-Christian Christians, however, is their rejection of pious platitudes and smug certainties that comprise much popular Christian discourse, especially on social media. But many post-Christian Christians tend towards another kind of smugness, which I can only describe as "I've got it figured out by not having it figured out." Understood as something like, "The more I learn, the less I know," I have no problem with it. I certainly find this approach more attractive than its opposite. Very often implied in this kind of assertion is the belief that nothing can be figured out. In other words, such an approach can be too skeptical. I use "too skeptical" because I think we need to develop and maintain a healthy skepticism. What the skepticism often exhibited by adherents to the school of "I've got it figured out by not having it figured out" has in common with the smug certainty of having it all figured out, is that its adherents labor under a confining set of preconceptions. In short, it is foolish to insist that there is no discoverable wisdom and perhaps even more foolish to think yourself possessed of it, especially in toto. To think you have it all greased is a sure sign you've reduced the Mystery to your own measure. The human existential condition is one of tension. This is why Christian orthodoxy primarily consists of maintaining the tension between two seemingly disparate things. At a fundamental level, the best example of this is one and three, as in one God in three divine persons; each person distinct from the other and yet together are one God, not three. The next most fundamental example would be one in two, as in one person in two natures, one human and one divine. Something that appears to be self-contradictory but is understandable in a way that is not is called a paradox. Because it has to do with the Mystery of God-made-man-for-us, Christianity is inescapably a religion of paradox. 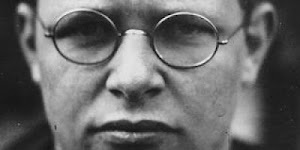 It seems to me the central paradox of Christianity, existentially-speaking, is dying in order to live forever. Dying in order to live requires a rather heavy dose of apophaticism. It is critically important to never lose one's capacity for wonder. Wonder is maintained by not smugly giving into skepticism on one hand and not settling for smug certainty on the other. Put in very bad poetic terms: the path of wonder that leads to wisdom winds between the Scylla of skepticism and the Charybdis of smug certainty.